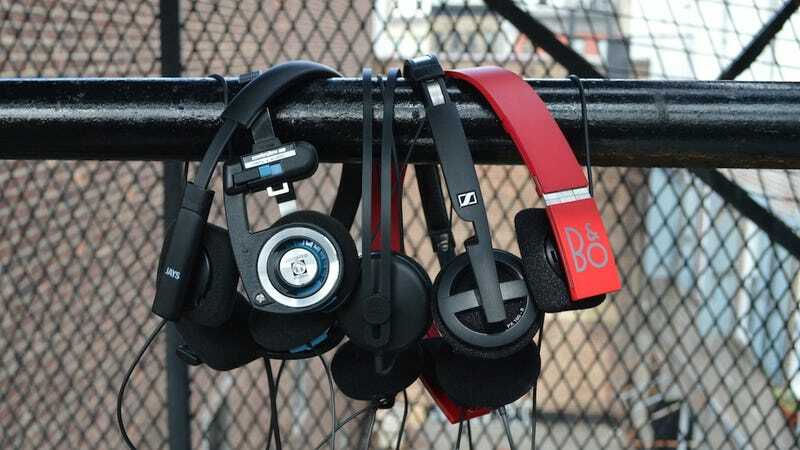 We tested five pairs of on-ear headphones, all weighing less than three ounces and costing less than $105 on Amazon. Sound quality is always important, but like the slick gadgets you plug them into, headphones should fit effortlessly into your life. If you're going to take these everywhere and wear them constantly, they've got to look good and stow away easily. Of course, these headphones all borrow something of the Walkman-chic style of the 1980s, so if they're aesthetically covetable, we're not going to complain. 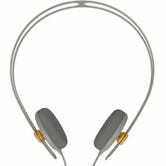 The Tracks' unassuming looks centers around the split-design of the stainless steel headband, doubling as the mechanism to adjust the earphones. (Note: you must complete the assembly of Tracks after you buy them.) This makes the headphones beautiful, unique, and completely impractical, considering the headphones tend to fall apart in a bag. While that steel is undeniably tough, adjusting the headphones to your head isn't a smooth slide, but rough like locking the hinges on a folding table. What's worse, the beauty doesn't last; the headphones come in a painted matte finish that almost immediately started chipping off. The Tracks are designed to be seen, but unlike some of the very good Aiaiai products we've tested, the Tracks are better off unheard. They sound budget—almost like you're wearing your computer's built-in speakers on your ears. On the plus side, they've got a nice blend of lows and highs and handle hip hop well enough. But overall the Tracks sound harsh, compressed, and if we didn't know better, we'd say the bursty, bright highs sound distorted. When it comes to performance, however, the Form 2s sound great. They're immersive, detailed, and do a great job of representing the space and depth of recordings. They're versatile cans, emphasizing just the right tonal frequencies no matter what music you're listening to. And though the bass is sufficient, the Form 2s definitely err on the side of mids and highs. Every detail has been attended to on the PX 100-IIs. The headphones fold into a slim compact package. Their build is sturdy. Though the earphones are only lightly-foamed, they're not the least bit irritating. Sennheiser even tossed in some soft padding at the hinges of the headband for extra comfort. Oh, and they sound spectacular. The PX 100-II's deliver lovely, textured bass of the kind you'd expect from much more expensive headphones. But what's really impressive is that the PX 100-II sound full-bodied without losing a bit of detail from the music. You get everything: A dizzying sense of depth and space as well as tiny nuances like the unique shimmer of different cymbals or the slight change in delay speed on a guitar accent. Delicious.